Eroision Control using filter tube. 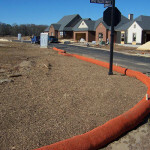 Downes Forest Products will supply and install filter tubes, commonly known as mulch socks or compost socks, for contractors and developers around New Jersey. 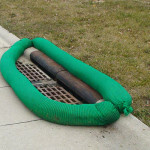 This item is a silt fence replacement. 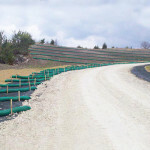 Filter tube comes in a variety of sizes and are designed primarily to replace silt fence, although there are numerous other applications. 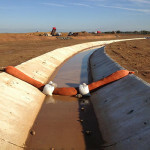 Filter tube is a superior product that provides perimeter sediment control more effectively than traditional methods like erosion control blankets, erosion control mats and erosion control fabrics. Filter tube won’t fall down, crush or become dislodged. Your on-site maintenance staff will love how easy it is to maintain Filter tube and will appreciate the easy installation that our trained and certified staff will provide. 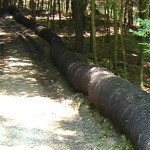 All of the material that is used in the tube is 100% organic and recycled. This will not then end up in a landfill. 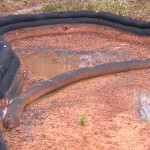 Terraseeding is a method of spreading soil that is injected with seed. 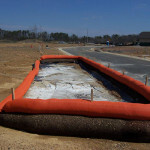 This allows for complete covering of the area with the right amount of soil. With the seed mixed in you have very little chance for the seed to be disrupted from ground contact. 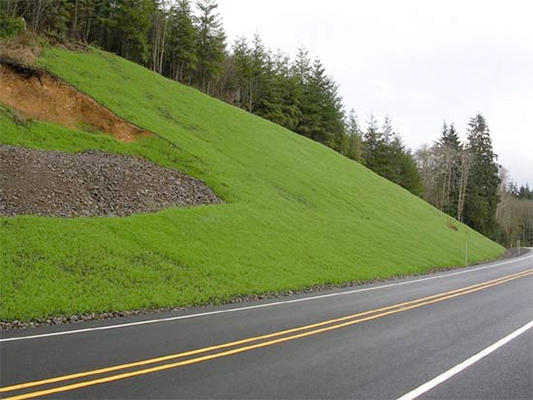 When you’re in need of soil erosion solutions or land erosion prevention, call the top soil stabilization companies around at (973) 238-4430.